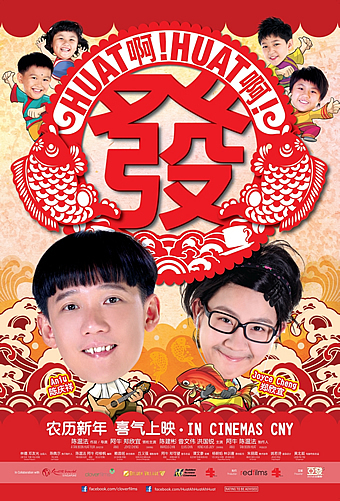 Synopsis: A dysfunctional family decides to go on vacation for Chinese New Year, but constantly bicker among themselves! Enter Xiao Xin, the chirpy and outspoken daughter who will stop at nothing to keep this family together and organise a happy trip. On their journey, they will encounter endless catastrophes and fun surprises. How will the Xiao family journey end? 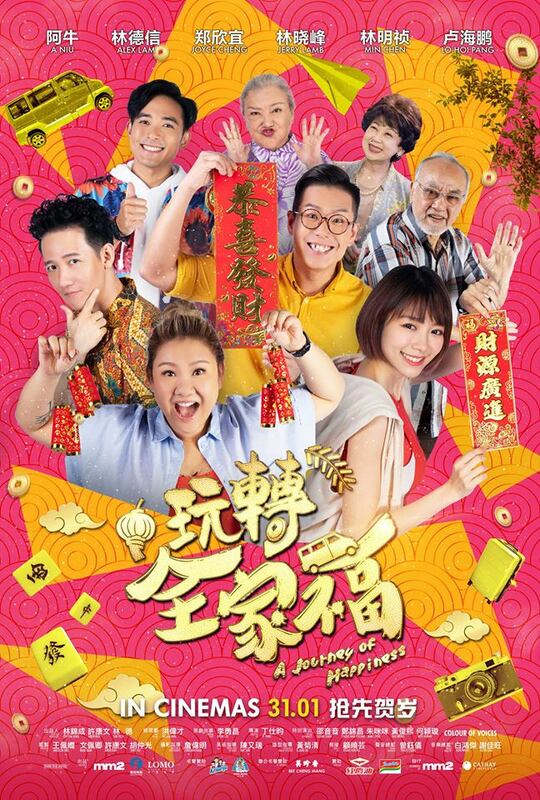 How much you like A Journey To Happiness depends very much on your tolerance for Chinese New Year themed movies since it’s that time of the year again. 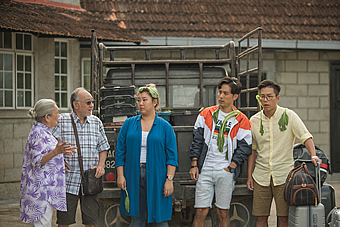 This Malaysia-Hong Kong joint production tells the story of the dysfunctional Siew family embarking on a road trip, which is organised by middle child and ex-tour agent Siew Sum (Joyce Cheng, daughter of the late Lydia Shum). Her intention is to bring Papa Siew (Lo Hoi Pang) to see the “sea of clouds” once again at Cameron Highlands, and also making use of the chance to bond with the rest of the family members - including elder brother and property agent, Siew Beng (Young & Dangerous’ Jerry Lamb), and baby brother/influencer Siew Lup (Alex Lam, son of singer, George) after the death of their mum. But as with all other road trip comedies, things simply do not go as planned as the van assigned by the tour agency breaks down along the way. To the dismay of her family members, Sum decides to drive a minivan the next day and take them on the trip by herself. 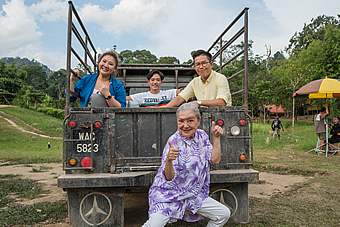 But a mahjong session with a Datuk en route to Cameron Highlands, a brush with an attractive influencer, Pumpkin (Min Chen), and a broke Siew Beng causes more problems than happiness for the entire Siew family during the festive period. 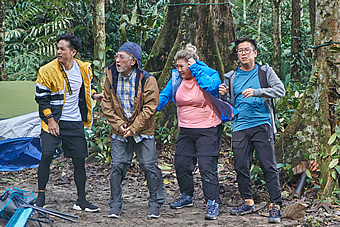 Will Siew Sum saves the day and fulfil her papa’s wish and reunite the family together? 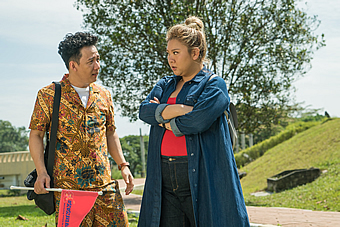 Scripted by Malaysians Ryon Lee and directed by JY Teng, the movie offers more heart in the last 20 minutes than actual laugh and fun throughout, despite their very feeble attempt to milk laughs out of a mah-jong session and the constant bickering between the siblings for example. A scene that has Siew Lup stripping naked and posing with durians on top of a lorry hardly tickles. Ditto for the scene where a motel staff mistaking Papa Siew’s intention for ordering a plate of Ipoh chicken. A Journey To Happiness struggles very, very hard to come up with a funny gag or joke but there’s simply nothing here that works in the end. Malaysia pop singer Ah-Niu reunites with Joyce Cheng after Huah Ah! Huat Ah! Huat! 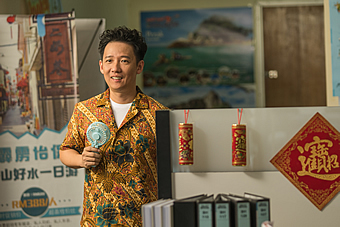 Unfortunately Ah-Niu, who plays a smooth talking tour guide, turns out to be more of an extended cameo and kind of a shoo-in love interest for Siew Sum than proper character development. Veteran actress Susan Shaw plays Ah-Niu’s mum and inn operator and surprisingly, she has a heartfelt scene opposite Joyce Cheng which makes her appearance in the movie worthwhile. 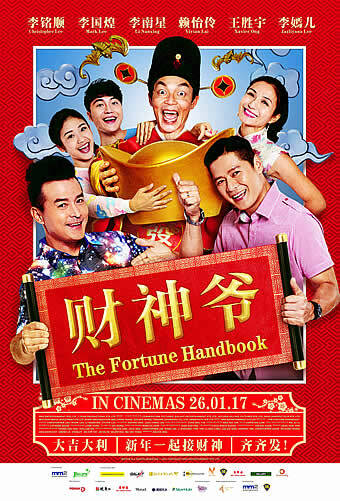 As with other Chinese New Year comedies that bet on laughs, heart and feature plenty of product placements, A Journey To Happiness ends with an important message about treasuring your family, as you probably already thought of the answer to whether the Siew Family did manage to catch the “sea of clouds” or not. Ultimately, there’s little to recommend about for this TV-like flick except Joyce Cheng’s increasing screen appeal and IG worthy shots of KL and Ipoh.